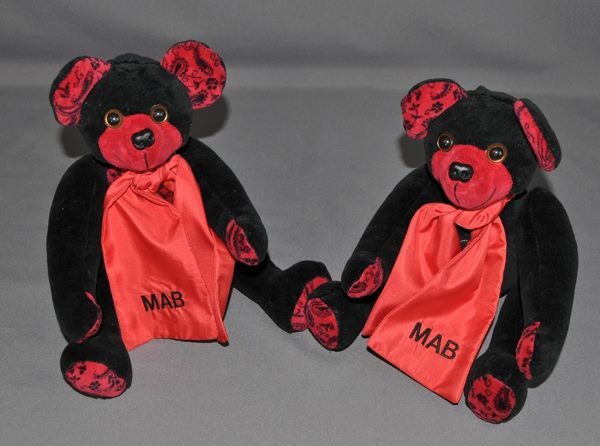 Lorri Breslin sent one of her late mother’s tops to have these two bears made for her sister and herself. She asked to have the tummies and accents red and the bears black. It made for two very adorable bears.